Looking for a light, everyday foundation with wonderful skin benefits? Philosophy's got just this product for you! 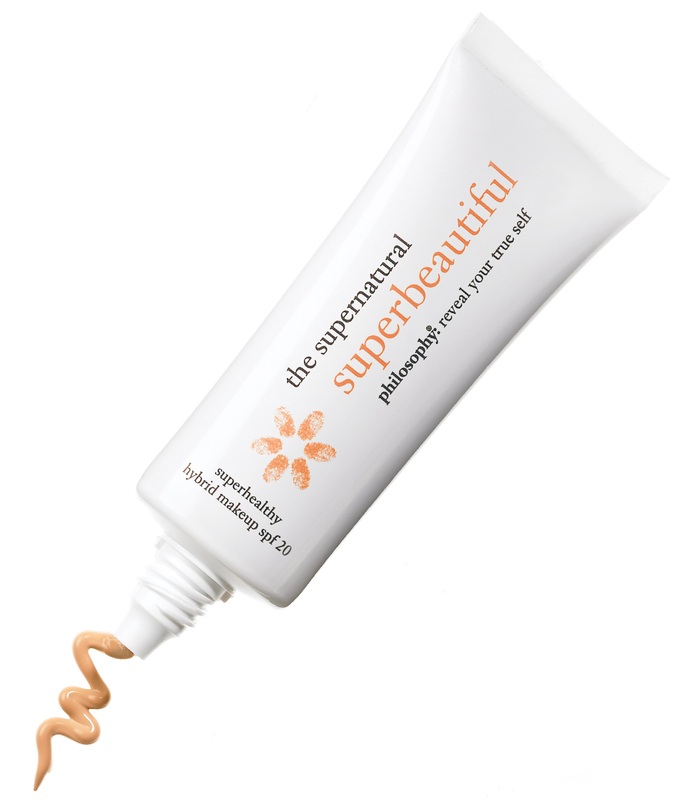 Their Philosophy Supernatural Superbeautiful - Good-For-Skin Makeup SPF 20 is a wonderful option. This liquid makeup is very unique in texture - a real cross between a tinted moisturizer and a foundation. I loved how easy it was to blend when applying (I liked using it with a foundation brush by the way). If you have fairly good skin with few discolorations, you can use this over your entire face and skip concealer. However, if you have very dark circles or more intense spot coverage is needed, I found that it did also work well with concealer. The finish is also unique. I found I could see my skin "through the makeup" - but it still looked polished and "finished" - as if I had used a heavier foundation. It's a matte/dewy hybrid that will flatter every woman and is perfect for daytime or night time makeup looks. I used the Extra Rich shade because I'm tan now, but the Rich will be a good match in the Fall/Winter. As you've heard me say before about other brands, the color selection could always be larger, particularly in the end of the spectrum with much darker browns, but overall, the shades will work on many women, especially in the "mid-tones". I found that it provided nice hydration without making me oily in my t-zone, and the coverage lasted all day (especially with a primer added first). It also did not clog my pores or streak. *This product was courtesy of Philosophy for reviewing purposes.